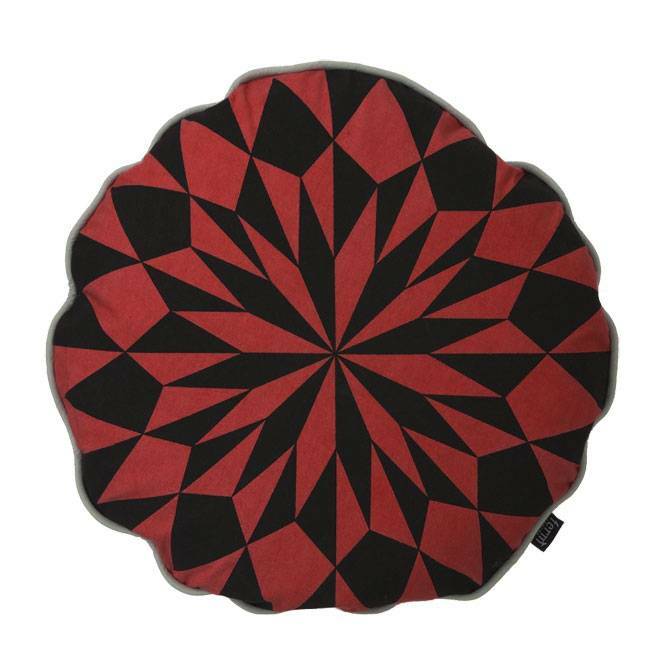 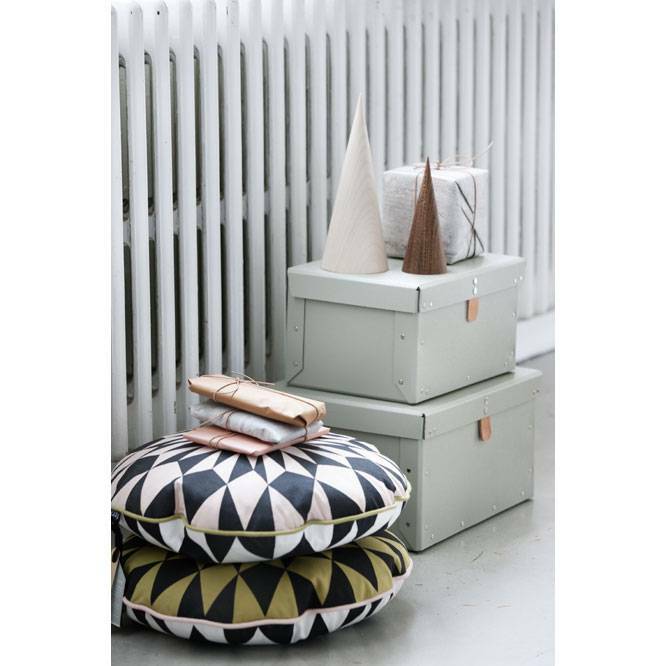 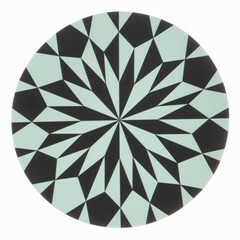 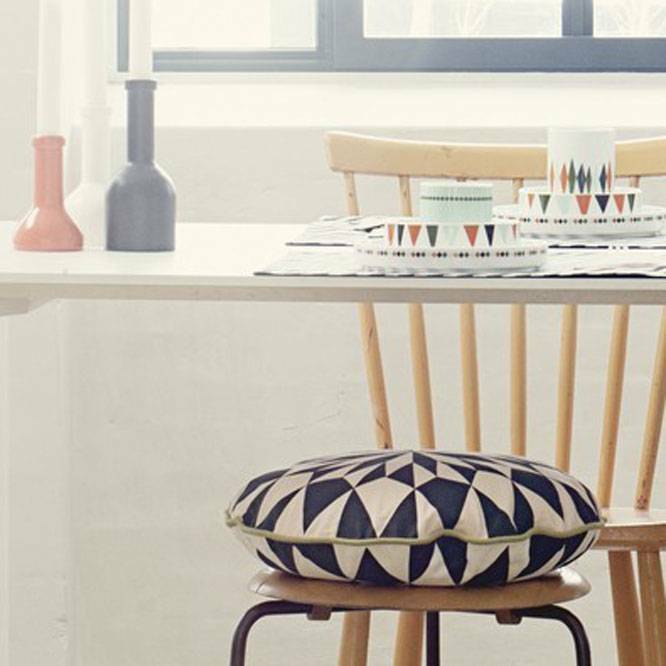 Handprinted double-sided round cushion Star by Ferm Living. 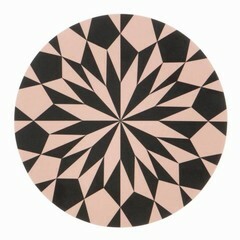 The diamond pattern is on both sides: one side is rust-white, the other black-white. Organic cotton.